Yi Wu, Jian Cheng, Jinqiao Wang, Hanqing Lu, Jun Wang, Haibin Ling, Erik Blasch, Li Bai. Real-Time Probabilistic Covariance Tracking With Efficient Model Update. IEEE Transactions on Image Processing (TIP), 21(5), pp2824-2837, 2012. Xian Xiao, Changsheng Xu, Jinqiao Wang and Min Xu. Enhanced 3D Modeling for Landmark Image Classification, IEEE Transaction on Multimedia (TMM), 2012. Wei Fu, Jinqiao Wang, Chaoyang Zhao, Hanqing Lu and Songde ma, Object-centered Narrative for Surveillance Video, International Conference on Image and Processing (ICIP), 2012,pp29-32. Zhan Qu, Jinqiao Wang, Min Xu, Hanqing Lu, A Grid Based Resizing Framework via Combining Warping and Cropping. International Conference on Image and Processing (ICIP), 2012, pp2997-3000. Xiaobin Zhu, Jing Liu, Jinqiao Wang, Yikai Fang, Hanqing Lu, Abnormal Detection in Crowd Scene Via Appearance and Dynamics Joint Modeling. International Conference on Image and Processing (ICIP), 2012,pp2525-2531. Wei Fu, Jinqiao Wang, Zechao Li, Hanqing Lu and Songde Ma, Learning Semantic Motion Patterns for Dynamic Scenes by Improved Sparse Topical Coding, IEEE International Conference on Multimedia and Expo (ICME), 2012,pp296-301. Zi Ye, Jinqiao Wang, Zhenchong Wang, Hanqing Lu: Multiple features fusion for crowd density estimation. International Conference on Internet Multimedia Computing and Service (ICIMCS),2012, pp42-45. Lianchao Cao, Lifang Wu, Jinqiao Wang: Fast seam carving with strip constraints. International Conference on Internet Multimedia Computing and Service (ICIMCS), 2012,pp148-152. Jianlong Fu, Jinqiao Wang, Yifan Zhang, Hanqing Lu: Point-context descriptor based region search for logo recognition. International Conference on Internet Multimedia Computing and Service (ICIMCS), 2012,pp188-191. Chengli Xie, Jinqiao Wang, Yifan Zhang, Hanqing Lu: Real-time multiple object instances detection. ACM Multimedia 2012, pp1301-1302. Jianlong Fu, Jinqiao Wang, Zechao Li, Min Xu, Hanqing Lu, Efficient Clothing Retrieval with Semantic-Preserving Visual Phrases, Asian Conference on Computer Vision (ACCV),2012,PT1-14. Zhan Qu, Jinqiao Wang, MinXu, Hanqing Lu, Fusing Warping, Cropping, and Scaling for Optimal Image Thumbnail Generation, Asian Conference on Computer Vision (ACCV),2012, pp. Xiaobin Zhu, Jing Liu, Jinqiao Wang, Wei Fu, Hanqing Lu, Weighted Interaction Force Estimation for Abnormality Detection in Crowd Scenes, Asian Conference on Computer Vision (ACCV), 2012,pp. Shi Chen, Jinqiao Wang, Yi Ouyang, Bo Wang, Changsheng Xu, Hanqing Lu, Boosting learners toward effective object detection, Computer Vision and Image Understanding, Vol,115(3), pp364-374, 2011. Yang Zhang, Jinqiao Wang, Wei Fu, Hanqing Lu, Huazhong Xu: Specific vehicle detection and tracking in road environment. International Conference on Internet Multimedia Computing and Service (ICIMCS), pp182-186, 2011. Min Xu, Jinqiao Wang, Muhammad Abul Hasan, Xiangjian He, Changsheng Xu, Hanqing Lu, Jesse S. Jin: Using context saliency for movie shot classification. 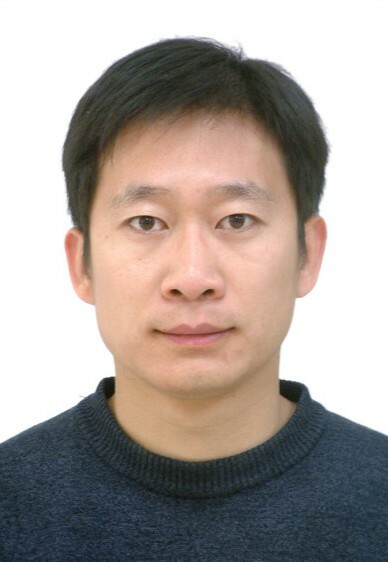 International Conference on Image Processing (ICIP), pp3653-3656, 2011. Bing Li, Yiming Chen, Jinqiao Wang, Ling-Yu Duan, Wen Gao: Fast retargeting with adaptive grid optimization. IEEE International Conference on Multimedia and Expo (ICME), pp1-4, 2011. Jingjing Liu, Jinqiao Wang, Hanqing Lu: Adaptive Model for Robust Pedestrian Counting. International Conference on Multimedia Modeling (MMM), pp 481-491, 2011. Bing Li, Ling-Yu Duan, Jinqiao Wang, Jie Chen, Rongrong Ji, Wen Gao: Grid-Based Retargeting with Transformation Consistency Smoothing. International Conference on Multimedia Modeling (MMM), pp12-24, 2011. Chengli Xie, Jianguo Li, Tao Wang, Jinqiao Wang, Hanqing Lu, Real-time Cascade Template Matching for Object Instance Detection. The 2011 Pacific-Rim Conference on Multimedia (PCM) 2011. Lifang Wu, Lianchao Cao, Jinqiao Wang, Shuqin Liu, Content Aware Metric for Image Resizing Assessment. The 2011 Pacific-Rim Conference on Multimedia (PCM) 2011. Wei Fu, Jinqiao Wang, Xiaobin Zhu Hanqing Lu and Songde ma, Video Reshuffling with Narratives toward Effective Video Browsing, 2011 Sixth International Conference on Image and Graphics (ICIG), pp821 &ndash; 826, 2011. Xianbin Zhu, Jing Liu, Jinqiao Wang, Wei Fu, Hanqing Lu. Global Trajectory Construction across Multi-Cameras via Graph Matching. 2011 Sixth International Conference on Image and Graphics (ICIG), pp801 &ndash; 806, 2011. Jianlong Fu, Jinqiao Wang, and Hanqing Lu, Effective Logo Retrieval with Adaptive Local Feature Selection. ACM Multimedia Conference (MM), pp 971-974, 2010. Shi Chen, Jinqiao Wang, Yang Liu, Changsheng Xu, Hanqing Lu. Fast Feature Selection and Training for AdaBoost-based Concept Detection with Large Scale Datasets. ACM Multimedia Conference (MM), pp 1179-1182, 2010. Xiao Xian, Changsheng Xu, Jinqiao Wang, Landmark Image Classification Using 3D Point Clouds, ACM Multimedia Conference (MM), pp821 &ndash; 826, 2010. Shi Chen, Jinqiao Wang, Yi Ouyang, Bo Wang, Qi Tian, Hanqing Lu. Multi-level Trajectory modeling For Video Copy Detection. International Conference on Acoustics, Speech, and Signal Processing (ICASSP), pp 2378-2381, 2010. Jie Yang, Jinqiao Wang, and Hanqing Lu. People Detection by Boosting Features in Nonlinear Subspace. The 2010 Pacific-Rim Conference on Multimedia (PCM), pp 227-235, 2010. Shi Chen, Jinqiao Wang, Bo Wang, Ling-Yu Duan, Qi Tian, Hanqing Lu. AdVR: Linking Ad Video with Products or Service. International Conference on Multimedia Modeling (MMM), pp776-778, 2010. Bo Wang, Jinqiao Wang, Ling-Yu Duan, Qi Tian, Hanqing Lu, Wen Gao. Interactive Web Video Advertising with Context Analysis and Search. IEEE conference on Pattern Recognition (ICPR), pp3252-3255, 2010. Bo Wang, Jinqiao Wang, Ling-Yu Duan, Qi Tian, Hanqing Lu. Interactive Service Recommendation based on Ad Concept Hierarchy. International Conference on Internet Multimedia Computing and Service (ICIMCS), pp87-90, 2010. Lili Ma, Jing Liu, Jinqiao Wang, Jian Cheng, Hanqing Lu. A Improved Silhouette Tracking Approach Integrating Particle Filter with Graph Cuts. International Conference on Acoustics, Speech, and Signal Processing (ICASSP), pp1142-1145, 2010. Lili Ma, Jian Cheng, Jing Liu, Jinqiao Wang, Hanqing Lu: Visual Attention Model Based Object Tracking. The 2010 Pacific-Rim Conference on Multimedia (PCM), pp483-493, 2010. Chao Liang, Yu Jiang, Jian Cheng, Changsheng Xu, Xiaowei Luo, Jinqiao Wang, Yu Fu, Hanqing Lu, Jian Ma. Personalized Sports Video Customization for Mobile Devices. International Conference on Multimedia Modeling (MMM), pp614-625, 2010. Chunjie Zhang, Jing Liu, Jinqiao Wang, Qi Tian, Changsheng Xu, Hanqing Lu, Songde Ma. Image Classification Using Spatial Pyramid Coding and Visual Word Reweighting. ACCV, pp239-249, 2010. Chengli Xie, Jinqiao Wang, Hanqing Lu. Kernel Forest and Its Application on Object Detection, The 6th Joint Conference on Harmonious Human Machine Environment (HHME), pp1-5, 2010. Jie Yang, Jinqiao Wang, and Hanqing Lu, A Hierarchical Approach for Background Modeling and Moving Objects Detection. International Journal of Control, Automation, and Systems, 8(5), pp940-947, 2010. Ling-yu Duan, Jinqiao Wang, Wen Gao, Hanqing Lu, Jesse S. Jin and Changsheng Xu, Linking Traditional TV Advertising to Internet Advertising, IGI Global Press 2011.